We will begin at 8am on Thursday morning, Sept. 24th. Please arrive by Wednesday evening if you are staying at Stony Point Center. How much is it and what is included in the Compassionate Bereavement Care Certification® program fee? The cost is $995.00 for the four-day program. For those who are driving in each day, light breakfast and lunches for four days are included during the program. For those who are staying at Stony Point Center, all meals are included during your stay. You will pay your own hotel fees and any other costs of travel. You may become certified with or without continuing education credits. There is an additional $200 fee for 30 CE hours and the certificate for those. What about phones and electronic devices? Please turn off all electronic devices and phones during the program out of respect for fellow attendees. We ask that you do not use computers during the session, and audio/visual recording is not permitted. Do I have to apply to be accepted into the program? Yes, application is mandatory for certified providers. What if I am not accepted into the certification program? This training may be unsuitable for you at this time. You may reapply no sooner than 12 months from the first application date. Can I attend only a day? Because of the nature of this event, please plan to attend the entire program. What time does the training start and end? Registration commences at 7:00 am on Thursday morning, Sept. 24th. Friday, Saturday, and Sunday will commence at 8am, and all four days will last until 5pm with a 60-minute lunch break. Lunch on-site is provided in your registration fees. If you are staying at the Center, dinner will be served 6-7 p.m. See our Course Schedule for more detailed information. Participants must stay for the entire program to receive 30-hours of continuing education credit and to be listed as an approved provider. The program ends on Sunday, September 27th at 5 p.m.
What is the nearest airport? Transportation services available? Airports: If you are flying into NYC for this event, the airport of preference is Newark, where Stony Point Center offers discounted transportation rates under generous terms. The Center can also provide service from LaGuardia or JFK Airports. You will make your reservations for the shuttle in advance. Transportation requests may be submitted online at stonypointcenter.org/events-retreats/getting-here/transportation/transportation-request?view=form. Can I request a vegan/vegetarian meal? Please contact the Center and alert them to your dietary requirements. The retreat location is in a small community about a mile from the Hudson River in Stony Point, New York. Among other things, Stony Point Center features beautiful lawns, vegetable gardens and a tranquil setting with woods and houses around it. During this time of year, the weather is usually warm during the days and chilly at night. Do I need to have a graduate degree? In most all cases, yes. This is a post-graduate certification program. Exceptions are for nursing, hospice, and on a case-by-case basis. If you do not have a graduate degree, please email your vita to info@missfoundation.org and reference your application for the certification program. The accommodations are in the Lodges at Stony Point Center. Simple accommodations with shared bathrooms. Shared or private rooms available. The climate is changeable, so bring a variety of loose, comfortable, casual, layered clothing. Bring outdoor walking shoes as well as slip-on shoes. Bring rain gear for outdoor walking. Please bring tissues, a few pens or pencils, notebook or journal, and photos of your loved one if you are also bereaved. Clinicians with a graduate degree who are interested in this burgeoning field including nurses, physicians, social workers, sociologists, mortuary scientists, first responders, counselors, therapists, psychiatrists, and others working with those who are traumatically bereaved. If you do not have a graduate degree, you will need to send a vita to info@missfoundation.org for consideration. Yes you can either through online registration or when sending in the registration forms. Send an email as soon as you know you’ll have to cancel. There is a non-refundable cancellation fee of $200 by 7/15/15, $400 by 8/15/2015 and $600 by 9/1/2015. There are no refunds for cancellations after September 1, 2015. Please save your email and if you do not receive a cancellation notice back within 48 hours, please call us with your intent to cancel at 602-279-6477. In order to remain provider certified, we ask that you focus a minimum of 6 continuing education hours every two years on grief, death, or trauma. We will offer many opportunities for continuing education to our providers at deeply discounted prices, both online and in person. 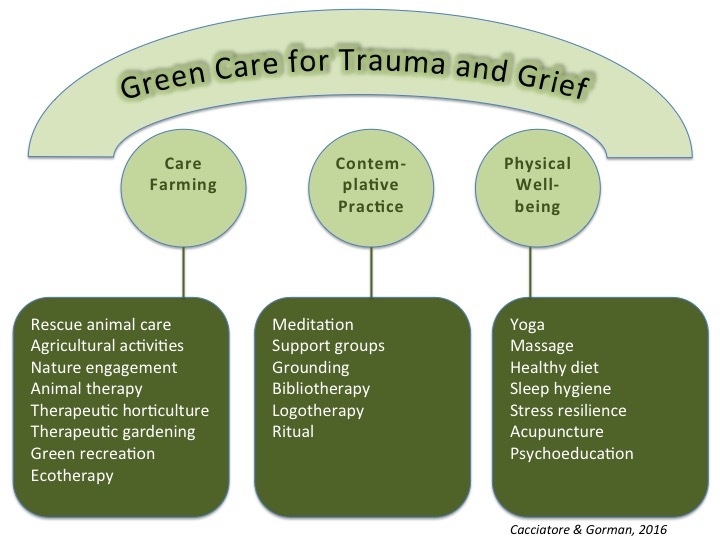 Can the Compassionate Bereavement Care Certification® program be brought to us? Yes, however, attendees at your hospital, agency, counseling center, hospice facility, or other organization will still need to complete the application process. Please contact us if you are interested in bringing this training to your location.